I genuinely didn’t want to start off my blogging year with a post where I publicly rant about the only client that gives me a hard time when it comes to issuing payments and settling invoices, but they left me with no choice! I found myself having to make a New Year’s resolution that I really didn’t want to make: no longer accepting any projects from this client. Don’t get me wrong. I am flexible, so very much. I do understand when some clients want their work done the soonest possible but cannot pay as soon as the invoice is issued or they have corporate payment policies such as paying 3 months after delivery. What really gets on my nerves, however, is when this particular client keeps on calling me, emailing me and sending me messages begging me to finish the translation in the shortest deadline one can ever imagine, and then, when I do, I simply don’t hear back from them! How unethical is that? This is not a one-time situation. The same client did the same thing over 3 times. I always blame myself for accepting new projects from their end. I even worked on a very small project for them completely free of charge a few months ago because I really didn’t want all the headache that would come along with issuing an invoice for this job; it just wasn’t even worth it. Now I really regret doing that. It took guts for me to write this post. I pride myself in being an utter professional. Again, it’s not their fault. It’s my fault for accepting yet another job from them. I should have known better. If you think I’m only ranting because it’s been a week that they didn’t pay, rest assured. I really, I mean really waited before I literally felt like I’ve had enough. The job I’m talking about dates back to November 2013. The most annoying thing is that they kept promising to send the payment very soon. It’s been 2 months now, and I’m ashamed to state that the amount is just slightly over 50 bucks! I would really understand had they replied to my emails stating that they would make the payment after 3 months, let’s say; but to not answer the email at all or answer after 20 days and tell me that they will transfer the payment within a few days, which they obviously didn’t do, that’s what actually made me lose it! The whole idea of this post is not the 50+ US Dollars that they owe me. I’m not even going to play the naming and shaming game. I just want to talk about principles and business ethics. Why don’t some clients keep their side of the bargain? I don’t know what other freelance translators would do if they walked in my shoes, but I will no longer send them any reminder emails. It’s both time-consuming and nerve-racking. On the other hand, I learned my lesson: I just hope this client simply pays their dues and refrains from sending me any future jobs, because then I will really give them my 2 cents (professionally and politely, that is) and, of course, reject the job. To look at the bright side, I’m glad I took this decision. I honestly feel like I’ve matured professionally. I’m happy I met such a client that made me learn such a valuable lesson and helped me gain experience. Now if I ever encounter such situations in the future, I know exactly how to handle them! It’s not easy to make decisions like the one you share here, so good for you! I hope you keep your resolution and I really hope there won’t be more clients like this one. May 2014 be a great year for you! I sure hope so, too! You don’t know how lucky you are! In my Country delaying payments has replaced football as the national sport. I have on particular customer who must pay an invoice note since February 2013 and is now proposing me to take a 25% cut because the final customer is not happy with the quality. Another agency, not Italian this time, owes me for jobs completed since March last year. Having an MBA, I can judge this state of affairs from a professional point of view: these people are NOT customers in any case, a customer pays. I will not loose anything except worry and anger if I dump them. But I must admit, I do have one other customer who still didn’t pay and it’s been over a year now as far as I can remember. 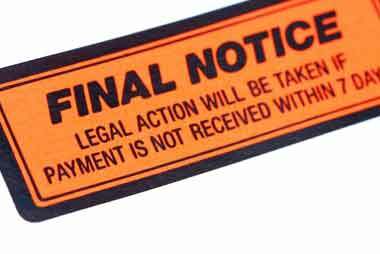 I wish all your payments get settled the soonest possible! I also wish every freelance translator to meet only the best of clients! I had a similar situation with a client some years ago; the money was always “on the way”, but never seemed to arrive. When it finally did, it was not the sum we had agreed. By that stage, I was so fed up that I decided to put it down to experience and try to move on. I have since discovered that other translators had similar problems with the same client. The one thing you can do if you feel strongly enough is to post the name of the client on one of the translation Websites (Proz.com has a section headed “likelhood of working again with this client” or some such) so that fellow translators are aware of them. He did pay for earlier jobs, but it was always after months of waiting. I agree, name and shame might be the right way to go. I’m glad you mention it, even though I hate to see others go through something similar to the one job I was offered last year. A client hired me from another website, communicating by e-mail, and offering me nearly $2,000 to translate 29 pages! I thought great, though the bank would not accept anything but a cashier’s check or money order, and the client stopped communication when I politely requested they do so. Anyone with an idea around these things, please feel free to mention it. Luckily I did not send the translation after the bank’s fraud warning. The e-mail was one person, the check signed by another, and mailed by a third. I hate to see colleagues go through such issues, too, but it seems like almost everyone does! Luckily, I, so far, only deal with people I can easily reach in case anything happens and I can’t recover my due payments the way I’m supposed to, especially that we don’t have PayPal in Lebanon. I do have clients living abroad and 90% of my work is done online, but those clients are almost all Lebanese so it’s still easier to reach them. Such payments are usually done via Western Union or any other similar service. Let’s just hope business ethics grow higher in 2014!